Alaska also has a rich history of responsible resource development. With dozens of corporations employing tens of thousands of Alaskans across the state, in sectors including oil and gas, mining, timber and renewable energy, Alaska counts on resource extraction for nearly 90% of its state revenue stream each year. If you add in tourism and commercial fishing, you reach nearly 95% of state revenues. Alaskans love to travel throughout our vast state. Whether over one of its 12 state highways, a regional ferry system, or over various other motorized transport, Alaskans get away from home with regularity. Alaska has more private pilot licenses per capita than any other state and with 400 airports, private aircraft usage is a much-used mode of transportation. 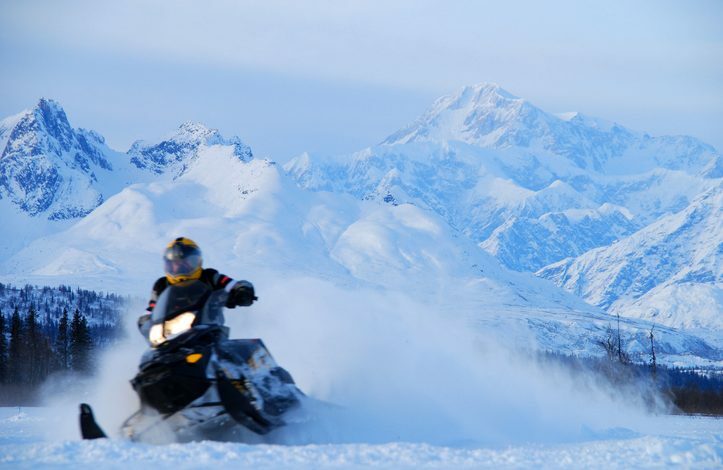 Alaska also has tens of thousands of snow machines, boats, ATVs and track vehicles, used for everything from recreation to hunting to fishing. However, some of the policies being discussed in the 2020 campaign – such as the “Green New Deal” and infrastructure proposals – seem likely to impact the Alaskan way of life and our economy. That’s why, as your campaign gears up fully, it would be important to visit Alaska and hear from Alaskans. As you finalize your positions on resource development, support or opposition to the Green New Deal, other environmental proposals, infrastructure, and international energy policy, Alaska should be a key consideration as you make decisions on which policies to support. To that end, Power The Future would like to invite your campaign to visit Alaska so you can hear directly from Alaska’s energy workers and those employed by resource development industries. We believe Alaska is often overlooked when it comes to national politics, and given Alaska’s critical contributions to America’s economy, that should not be the case. Should you accept our invitation to visit Alaska, we’d pay for the venue and associated costs, and work directly with your campaign team on all logistics. We’d invite workers from across the state, who would help educate your campaign on how important continued responsible development is to the state – both presently and in the future – and who could act as a sounding board of sorts on your campaign’s policies and positions. To be clear, this isn’t meant to be a debate, nor will it be designed to make your campaign look bad. This is all about getting to know Alaska, its people, its uniqueness, and its economic needs. Alaska anxiously awaits your response, and we look forward to welcoming you to our great state during your campaign.